Fincastle is Botetourt County’s oldest incorporated town, and the smallest. It has about 350 people. The current Fincastle Town Hall was built in the early 1990s. The town has a water and sewer system. The town’s total budget, including utilities, is about $450,000. The town residents have the highest per capita income of Botetourt County’s three towns, at $19,954. There are 142 total housing units in the town, and 62.4 percent of the citizens are in the labor force. These folks travel 22.2 minutes to their jobs. The town was originally called Miller’s Mill, then Fincastle, in 1772. In 1794 the town changed its name to Monroe, but that didn’t stick. The town incorporated in 1821. 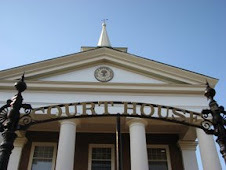 The town is the county seat of Botetourt and houses the Botetourt County Courthouse and a multitude of historic records. Many of the historic structures are listed on the National Register. Thirty-six Confederate soldiers are buried at Fincastle Presbyterian Church and a walking tour of this quaint town is available, guided or unguided, through Historic Fincastle, Inc.